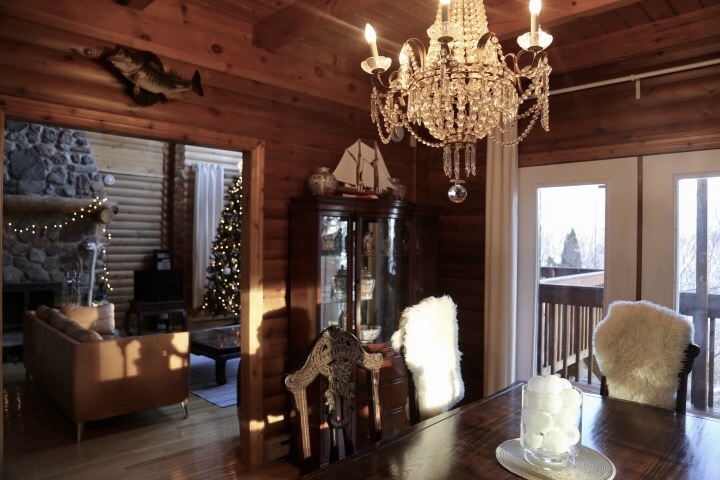 Explorer's Cottage combines a European country house with an A-frame cedar log cabin in a private location where guests can see eagles, hares, woodpeckers, and pheasants, while still being within a farming community with neighbors nearby. 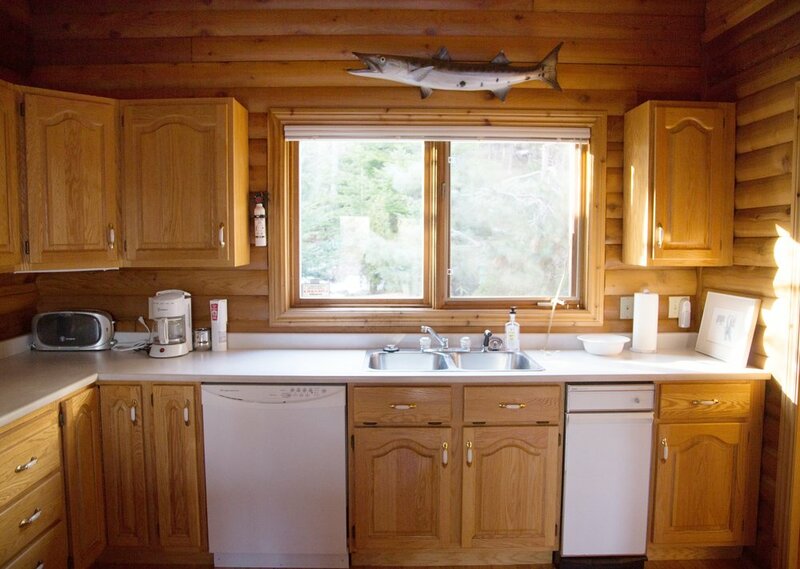 The cottage is thirty-five minutes from Baddeck, which offers Regatta Week, golf, sailing, kayaking, and the Alexander Graham Bell museum. Access to the Cabot Trail is about 25 minutes away. Day trips can be taken for activities about an hour away, such as Cabot Links for golf, Glenora whiskey distillery, Mabou farmer's market, Inverness, Chéticamp, and the Fortress of Louisbourg. The cottage is seated on an UNESCO World Heritage Site biosphere reserve and waterfront on the Bras d'Or, part of the Atlantic Ocean. Explorer's Cottage has an iron gate at the top of the long driveway into the forest. The property has an asphalt driveway, as well as an asphalt loop walkway that passes through several distinct areas of the waterfront acreage: a boreal forest, a forest orchard with Japanese-inspired bridges, a fir forest, a birch forest, a saltwater estuary at the shore, and a small granite pebble beach. There are hundreds of bulbs planted near the cottage and along the pathways, as well as a prolific golden plum tree, apple and pear trees, various nut trees, a miniature Japanese maple tree, large Japanese maples, and special types of conifers, such as blue spruce and cypress trees. There is a Japanese inspired garden located just nearby the house, with a black granite bench, bronze cranes, and a black granite obelisk. There are benches and places to rest throughout the lower property, as well as three outdoor grills. There is a field of mint, blackberries, and raspberries in the forest across the road from the house, as well as a private road with a spring and stream over the 150 acres of the property. Guests can tour the private forest road with a local guide. The waterfront has a large staircase with a grill and picnic table and stairs to the water. The cottage is available for rent in all seasons. 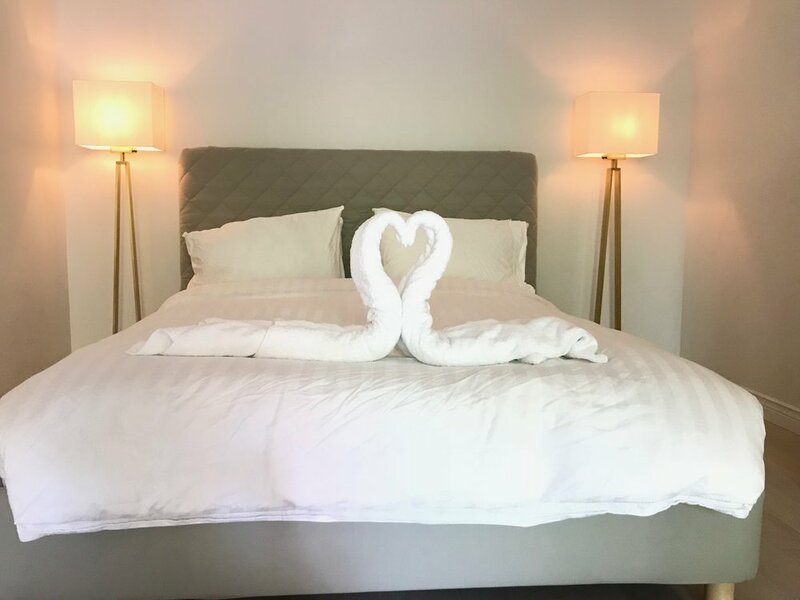 The bedrooms were designed by the architect to be very separate and private either on opposite sides of the house or on different floors, so people on different sleep schedules or those who want their privacy can be comfortable. A book of tips and advice written by the owner is available at the cottage, and the owner is available to answer any questions about activities via text or email upon request. Please refer to the FAQs for more information about the cottage.